So this year, this new brand "Makeup Revolution" has been much raved about in blogging community. I was also pretty excited after reading so many reviews from bloggers around the globe. Now who wouldn't be tempted to try a new brand that is soooo affordable, is offering such great variety of products at pretty reasonable prices. Being a beauty blogger I also wanted to buy some stuff from the brand to check it out myself. One fine morning there came a great news. And guess what... 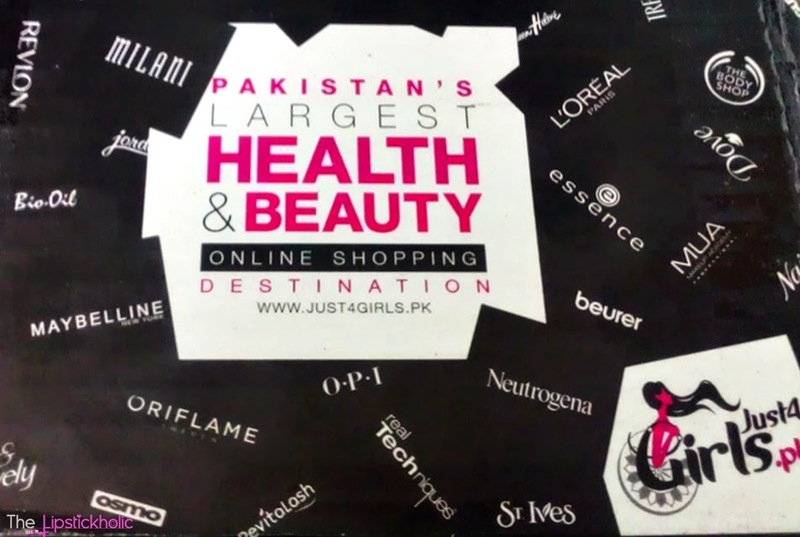 Makeup Revolution products were available online at our favorite online beauty store in Pakistan Just4girls.pk. Wooohooo...!!! There was a sudden hype among all bloggers and non-bloggers in Pakistan. Everyone wanted to get their hands on something from this brand soon. So let's see what makeup revolution stuff I bought from J4G. Okay so initially I bought just 2 things from this brand to see if they are worth the hype or not. If you are following me on my Facebook page, you must have seen my first haul there. I picked up one Makeup Revolution Awesome Eyeshadow & Eyebrow palette in shade "Disappear Till Tomorrow" and Makeup Revolution Salvation Velvet Lacquer in shade "Keep Flying for You". 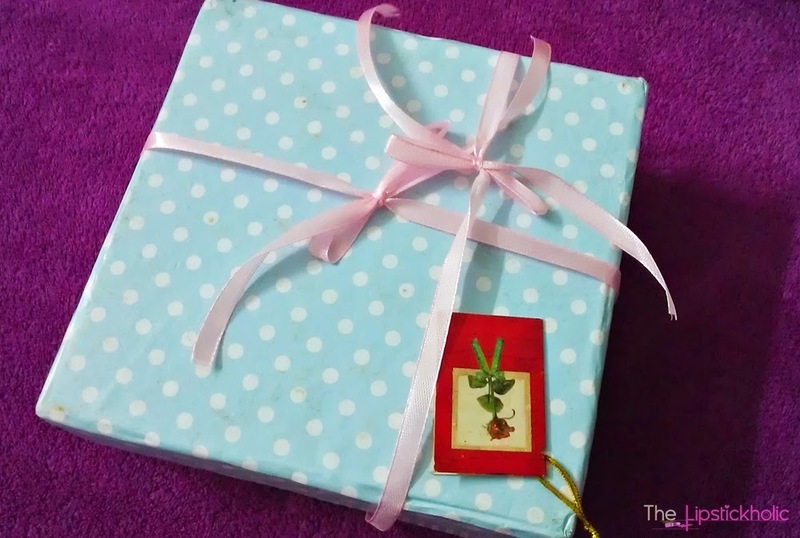 I got my parcel within just 3 days of ordering. and here is what I got in my first haul. Okay so after trying these things, I was tempted to go for another small makeup revolution haul. I wanted to get one more color in these lip lacquers, a blusher and the brow kit. So this is what I bought in my second haul from Just4girls. 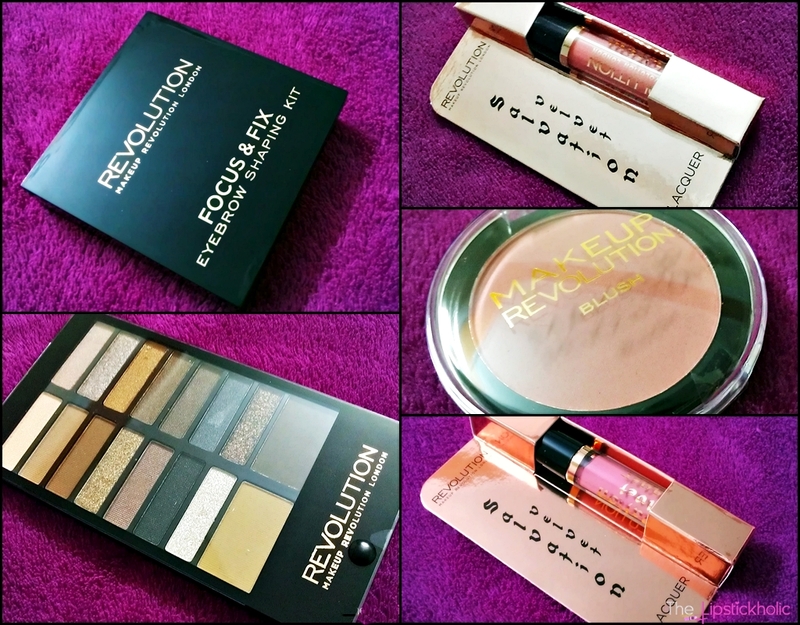 So at the end, here is a look at my complete makeup revolution haul from Just4girls. Along with product names and prices. Price & Availability: Prices of the products have been mentioned above. 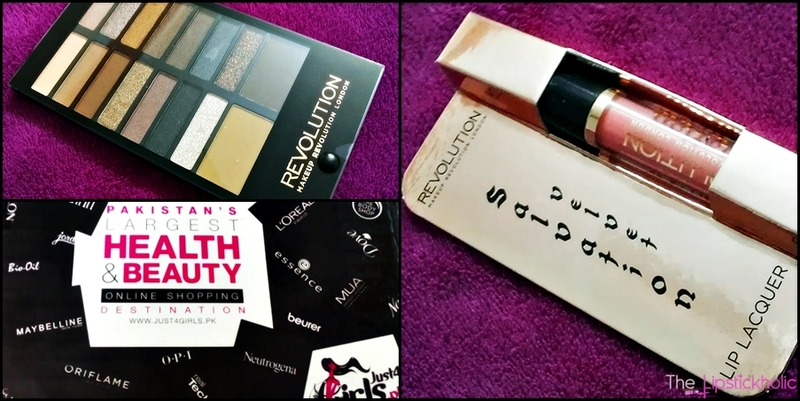 Makeup Revolution Stuff is exclusively available online in Pakistan at Just4girls. 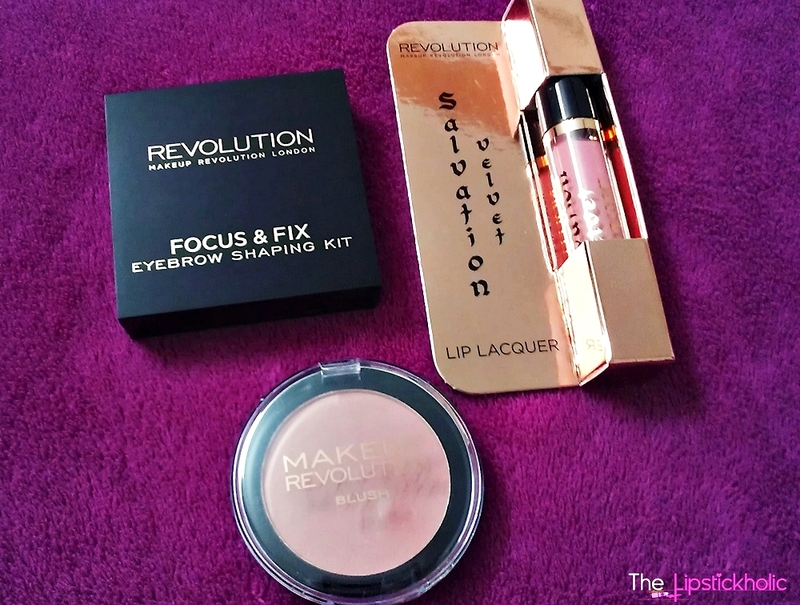 Have you tried some makeup revolution products yet...??? What you think about this brand and it's products. Don't forget to leave your comments. This year every blogger in Pakistan was saying so many good things about this instant brightening face mask by ORGLOW. I was so tempted to try this and luckily won this jar in a giveaway organized by Sparkling Makeup Blog. Woohooo....Thanks to Sparkling Makeup Blog and ORGLOW, I finally had the chance to try this mask myself and see if it was worth the hype or not. Let's see what I have to say about this Mask. Orglow is an all natural, all organic face mask, that tightens, brightens and whitens the skin. I have sensitive skin and that's why I am very particular about my skincare products. I am always cautious when trying new skincare products and to be honest, I was a little afraid to try this one too. But since it had all natural ingredients, I was a bit relieved to know that and finally decided to try it out. The mask is sealed pack. 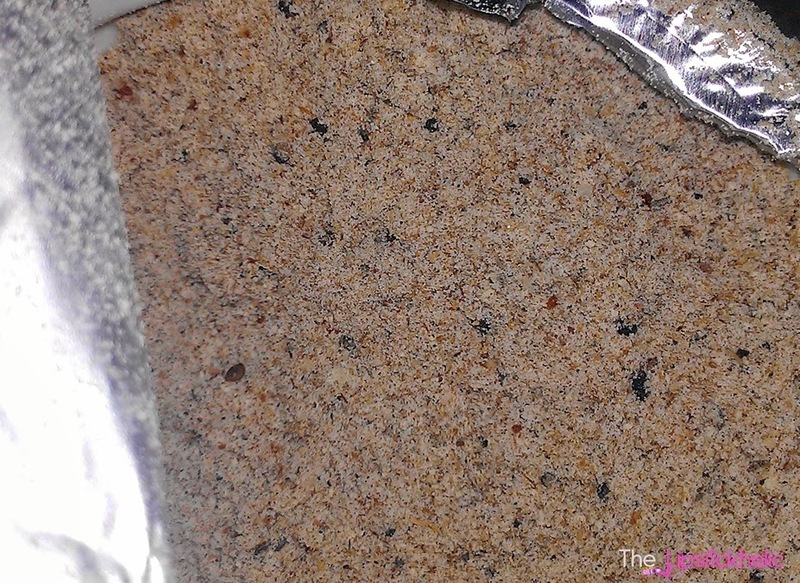 Once you open the seal you can see the finely milled powder inside. At that point you will also notice an awkward strong smell. The instructions to use the mask are written on back of the jar. 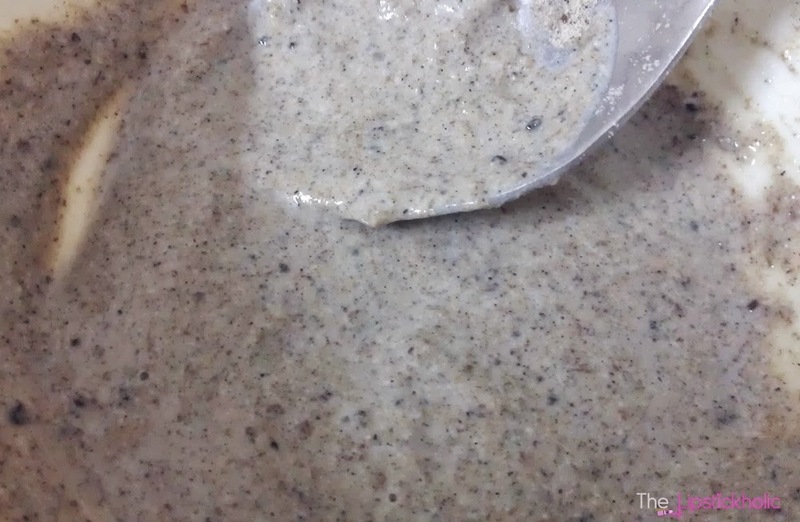 You can use 1 table spoon of Orglow and mix it with some fresh yogurt to make a paste. You can alternatively use milk if you don't have yogurt available or don't wanna use yogurt. It is advised to add 2 drops of glycerine if you have dry skin or 2 drops of rose water if you have oily skin to your Orglow paste. I made the paste using Orglow with milk. The paste was thin in consistency but fine enough to be applied on face. Since I was out of glycerine at that time, so I didn't add any glycerine or rose water in it and just made the paste using milk and Orglow. Instructions to use this mask on the back of the jar state to leave the mask on your face for 10-15 minutes and then rinse it off gently. I applied a think layer of this mask on my face and then left it to dry for almost 15 minutes or even less. Now the thing I don't like about this mask is that awkward strong odor it has. Well, it faded away after 5 minutes of application or may be I got used to it. Luckily there was no burning or tingling sensation on my face at all after applying this mask. I could feel a tightening sensation on my face after 5 minutes of application. And after 10-12 minutes the mask was completely dry. Therefore, I decided to rinse it off and see see the results. I washed my face gently and didn't use any soap or moisturizer afterwards to see the actual results. I was surprised to see that my face was actually brightened. I can't really comment on the tightening part but can say my skin did feel much firmer and smoother. I totally agree with the instant brightening claim this mask makes. My skin wasn't literally glowing but there was a sudden brightening effect which was noticeable. Since I have dry/combo skin, I felt it slightly dried out the skin around my nose. Other than that, there were no dry patches or no dryness caused by this mask at all. My skin felt much smoother and was feeling much much fresh. So yeah....it really works.. !!! Here you have the before and after pics and you can clearly see the results after using this mask. My Mom also tried this mask and she was also quite satisfied with the results. Even my brother tried it (rather I made him try it ...lol) but he actually was impressed and could see a difference in his complexion immediately. So overall, its a great mask for instantly brightening, tightening and refreshing your face. It doesn't have any harsh chemicals and is made up of all natural ingredients which makes it safe to use on all skin types. I will be using it before any occasion, party or whenever am in need of a quick 15 minutes home whitening facial. Price & Availability: As I have already mentioned I won mine in a giveaway organized by Sparkling Makeup Blog. This mask is available online at Salina Cosmetics for PKR 850/- only. Good news is they are now taking international orders too. So International readers can message them directly on their Facebook page ORGLOW to get this mask delivered at their door step. Have you tried the ORGLOW Brightening Mask yet...?? Don't forget to mention in your comments what you have to say about it. 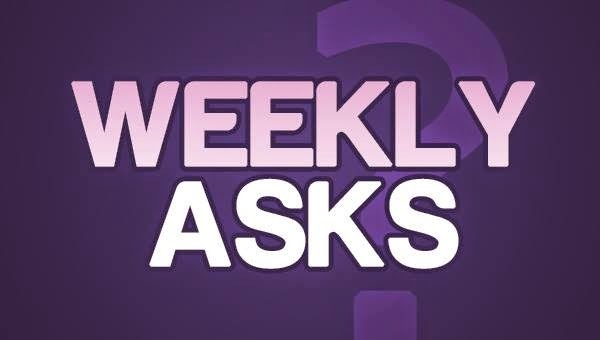 Weekly Asks: What Fall Trends Are You Going to Follow This Year....??? What fall trends are you going to follow this year....??? My Answer: Talking about fall, I will be using loads of brow powder/ pencils and will try to make my very thin brows look a little bolder. And yes am gonna opt for less eye makeup and will go for bolder lips. So don't forget to leave your answers and share what fall trends are you going to follow this year. You can tell about fall makeup trends that you are loving or even fashion trends including clothing apparels and everything else that you are looking forward to this fall. 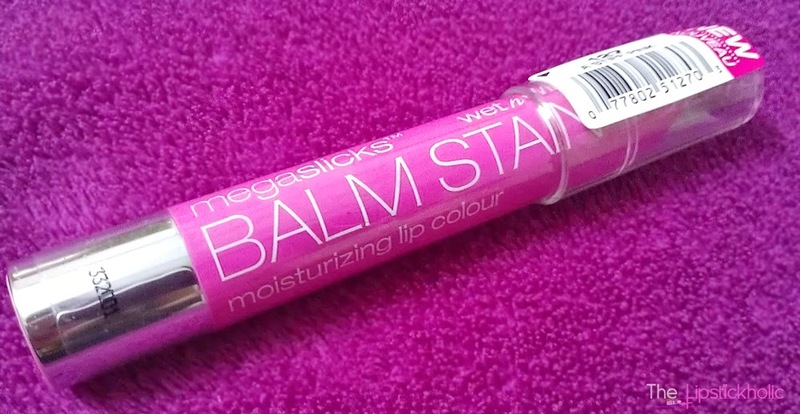 Review: Wet n Wild Megaslicks Balm Stain in shade "A Stiff Pink"
Hope you all are doing great. 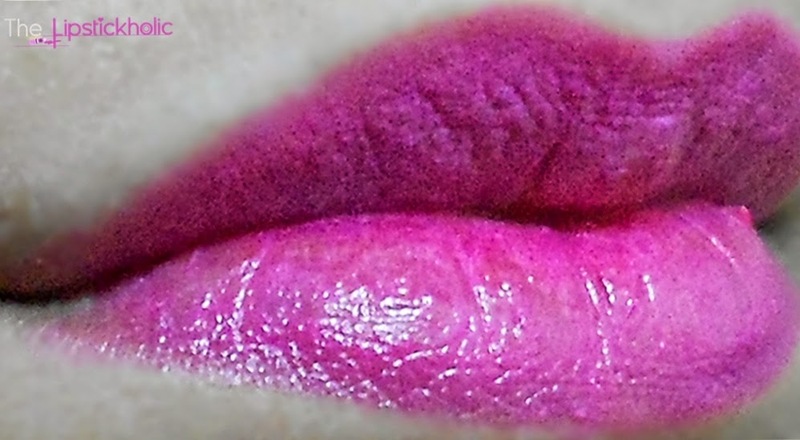 So as requested by many of you, here I am with the review of Wet n Wild Megaslicks Balm Stain in shade "A Stiff Pink". I bought this few weeks ago through Facebook Page Infinity. Well no more talking let's just get to the review and see what I have to say about it. Wet n Wild Megaslicks Balm Stain in shade "A Stiff Pink"
Okay so if you are a regular reader of my blog, you would be knowing how much I love lip crayons. I find these twist-able kinda crayons or balm stains much convenient to use. This balm stain is one of those chubby crayon pencils too. What I like about it's packaging is the lid, which closes tightly. You can hear a click sound upon closing the lid which makes it safer to keep in bag and purse. Now coming to the finish and formula of this balm stain. It applies smoothly on the lips and moisturizes and hydrate the lips well. When first applied, you will slightly feel a tingling sensation on the lips (probably due to any of kind of the ingredients inside). I also feel that this balm stain makes my lips appear fuller. The finish is kinda glossy in the start which turns to a semi-matte finish after sometime and by the end to a completely matte finish. This balm stain keeps the lip hydrated for few hours only and after that it leaves a stain. Even the stain doesn't make the lips feel dry (a bit dry though). I recently had an allergic reaction to one lip product. Therefore, my lips were quite chapped and dried out when I tried this stain. But luckily, it didn't enhance any dryness on the lips. It doesn't settle into fine lines or cracks either. Hydrates and nourishes the lips for a couple of hours. So overall, am in love with the formula. This particular shade "A stiff pink" is a gorgeous bright pink shade. What I noticed about this balm stain is that it changes color. When applied freshly, its a gorgeous pink shade with blue undertones. After a while the bright blue toned pink becomes much darker fuchsia pink and then after few hours, it starts fading slowly. It is very pigmented. The coverage is medium but easily buildable. One swipe on lips provide medium coverage and another swipe results in full coverage. The color is so soooo bright. I wasn't expecting it to be that bright, but I love it. It's one of those shades that would suit almost any skin tone. Am pretty impressed with the staying powder of this balm stain. It lasts on my lips for about 4-5 hours (with full meal and proper eating). After that it leaves a kind of stain on lips which stays for some extra couple of hours. When I was testing it, I applied it in morning and splashed my face with water 2-3 times during the day, had lunch, and still I could see the bright color (slightly faded) on my lips till eve. After that it started fading, and left a light stain which stayed till night. So the staying power is impressive. What I don't like about this balm is that it fades unevenly. So, the stain looks awkward with uneven patches of colors on your lips by the end of the day. Okay now here are the swatches of this lovely shade. It looks much brighter in person and is looking less brighter in pictures somehow. The first lip swatch shows how it looks when freshly applied on lips and the last picture shows the faded stain it leaves after few hours. Let me tell once again, for some reason the color is appearing less brighter in pictures. But actually it appears as a much much brighter and darker fuchsia pink shade on lips. Even the stain looks so bright and appears as a reddish pink stain. Overall, am impressed with this balm stain and love using it these days. Even my Mom loves it and is impressed with its staying power and great color payoff. Am surely gonna get more shades soon. At the end, we have the quick roundup summary. Price & Availability: I ordered mine from Beauty Joint through Facebook page Infinity for PKR 500/- only. You can check other Facebook pages too, to see if any of those have these in stock. 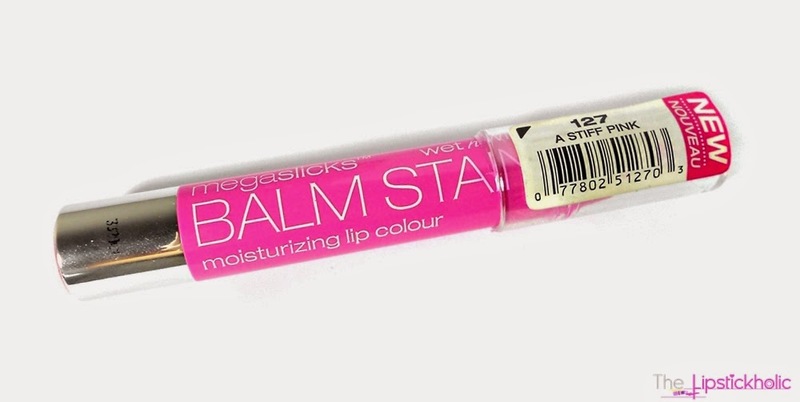 Have you tried any lipstick the wet n wild megaslicks balm stains yet..? 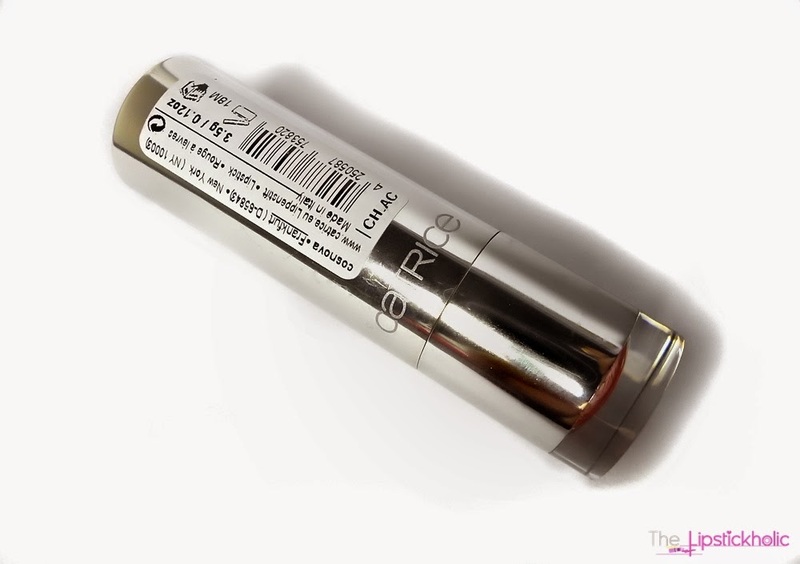 Do leave your comments and thoughts on these..
Review: Catrice Ultimate Shine Gel Lip Color in " (040) Don't Fear the Sheer"
Catrice Ultimate Shine Gel Lip Color in " (040) Don't Fear the Sheer"
Starting with the packaging. It comes in metallic bullet form . The metallic packaging is quite sleek but is so prone to finger prints. The name of the shade is written on bottom. 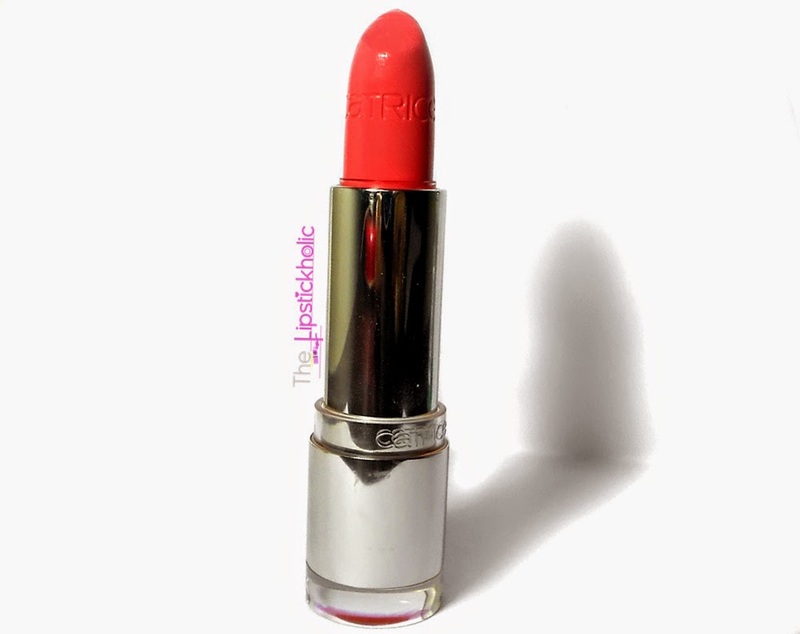 This shade "Don't fear the sheer" is a coral kinda shade which matches the bottom of the bullet. The packaging overall is sturdy and elegant. This shine gel lip color has gel-like texture. It is creamy and glides smoothly on lips. 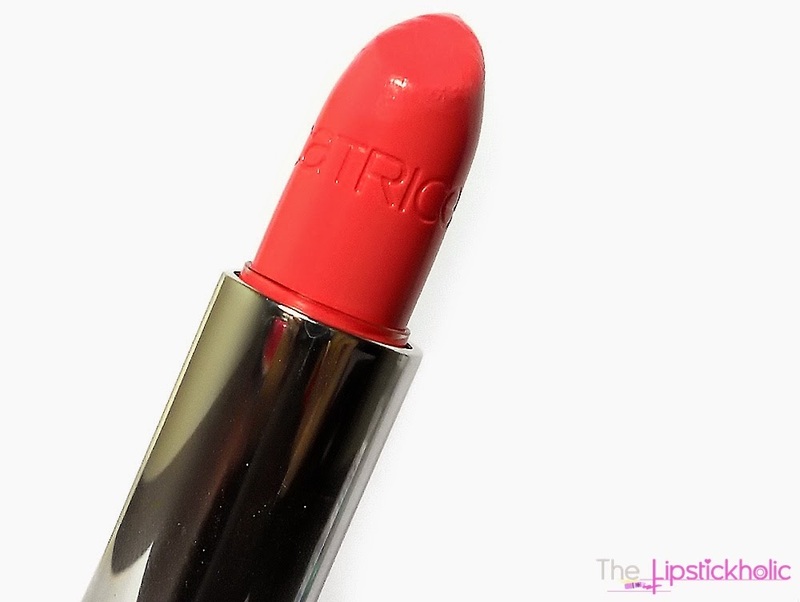 It hydrates the lips and lips feel much softer and smoother after applying this lipstick. It provides sheer color and moisturizes the lips well. Therefore, in my opinion, this gel shine lip color lies somewhere between a lipstick and lip balm. It's not at all drying on lips. But wait....let me warn you, it has tendency to settle in fine lines and enhance any lip cracks. This shine gel lipstick provides sheer coverage. After seeing swatches online, I was expecting this shade to be more pigmented. But honestly I am disappointed and this particular shade is not very pigmented. One swipe just provides a sheer tint of color to the lips. When swatched on arm it looks like a light coral shade but when applied on lips it appears as a very pale pink kinda shade with blue undertones.Totally disappointed as this is so not my kind of color. The finish of this lipstick is glossy/shiny. Here are the lip and arm swatches of this lipstick. Now talking about the staying power, the staying power of this lipstick is below average too. It lasted on me for about 2-3hours at max (with minimal eating and drinking). But a good thing is that it left a very light stain and my lips felt hydrated even after the color faded away. Overall this lipstick hasn't impressed me much. 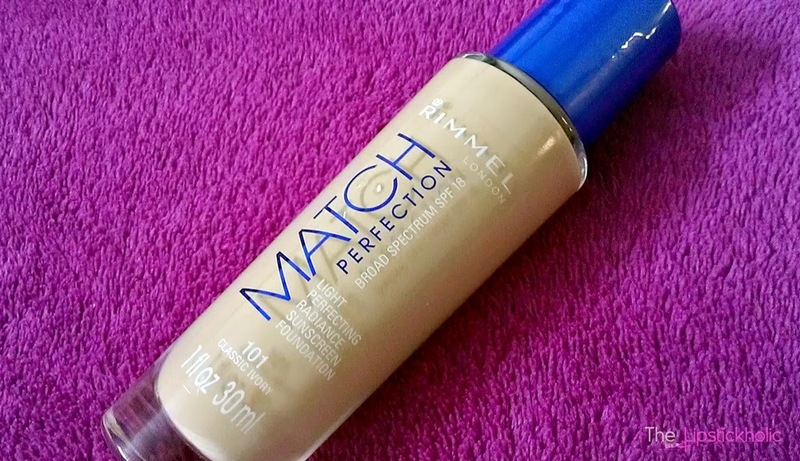 The coverage is sheer- medium which is ok but this particular shade is not very pigmented. Plus the color appears totally different on my lips. This is not the kind of coral shade that I expected it to be. May be darker colors from this range would look much better. The good thing is it hydrates the lips and is affordable. So you can try some other shades if you like hydrating lipsticks with shiny finish. So here is the round up summary for this lipstick. Price & Availability: I bought mine from online store BeautyArena for PKR 780/- You can find these lipsticks at Catrice counters at leading stores in Pakistan. 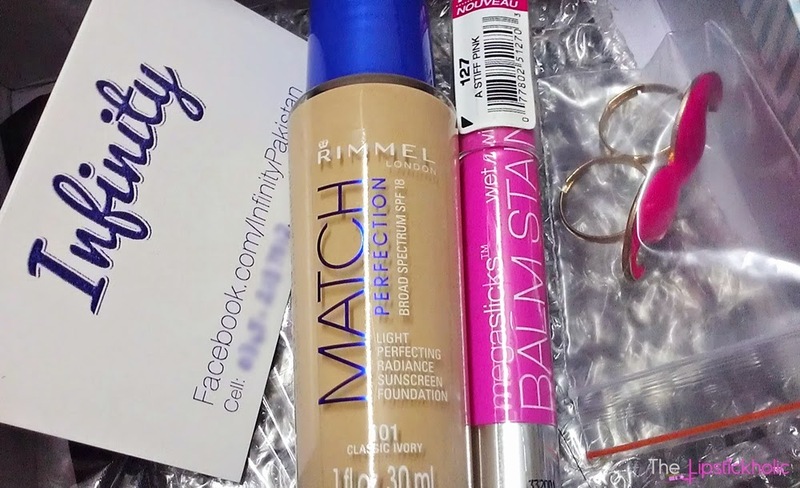 Haul & Store Review: Mini US Haul from New Facebook Page "Infinity"
As it was my first order with that page, I precisely decided to order Rimmel Match Perfection Foundation (my routine winter foundation) from Walmart and Wet n Wild Mega slicks balm stain from Beauty Joint. Right after three weeks, I inquired about the status of my order from the page owner. She replied quickly telling that the shipment is in transit and will be reaching here soon. One thing I will appreciate is that the owner of the page is so sweet and her replies are always prompt. So thumbs up for good customer service. After 2-3 days (on Friday), I received a message on Facebook informing that my order has arrived and is ready to ship. I confirmed my address and personal details with her. In evening, I was notified that my order has been dispatched and I will receive it by Monday. Now that's super quick. Again, thumbs up for no extensions in the given deadline and for such quick delivery. 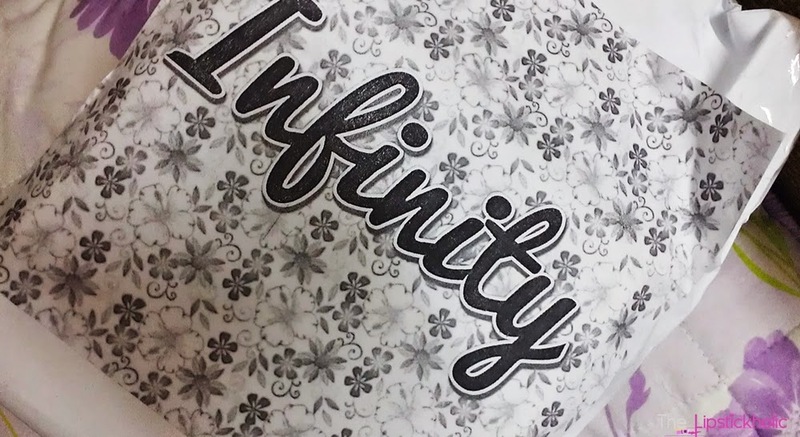 Overall, am a happy and highly satisfied customer of this new page Infinity. I keep shopping from Facebook pages and this so far was my best per-ordering experience with any page. If you are a shopaholic and love pre-ordering stuff then do check this page Infinity (click to open in new window). The owner is so sweet and cooperative. The page offers reasonable rates, timely delivery and efficient customer service. Plus, they have some amazing jewellery in-stock too. So that's all for now. Hope you enjoyed my mini haul post featuring this new Facebook Page.